PREFERRED DELIVERY DATE: To streamline our service we have introduced the Preferred Delivery Date for our customers. Whilst we can't guarantee this we will do our absolute best! (Especially during our busy periods). In order to cover the UK we operate with a 3rd party pallet distribution network. 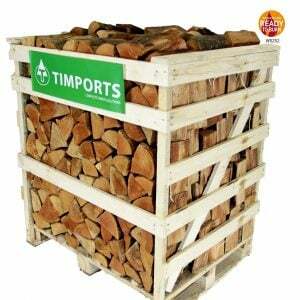 Nationwide deliveries of pallets/logs are made by a vehicle equipped with a tail-lift. The goods are lowered from the lorry via the tail-lift and then positioned on your property by means of a man operated pump truck. The pump truck will not travel over soft or loose surfaces such as gravel or grass. Excess gradients can cause health and safety issues with the lowering down of the goods. The crate/pallet of nets requires a smooth flat surface for positioning. The delivery vehicle does not have a crane and cannot lift goods over fences, walls or hedges. ***Any delivery scenario can be overcome or worked around with our bespoke service, please contact us to discuss any special requirements that may cause concern and we can make the necessary arrangements. Any undisclosed delivery issues may be liable for a re-delivery charge. BELOW ARE OUR DELIVERY OPTIONS AVAILABLE DURING CHECKOUT. SATURDAY DELIVERY - Between 8.00am –12 Noon - additional charge of £50.00. DELIVERY - HOW LONG DOES IT TAKE. Our delivery process takes 4 -7 working days. There can be exceptions during busy periods. We always ask our customers to order early before the Christmas rush to avoid disappointment. At the checkout you can choose from our delivery options, you can select your delivery date and a timed delivery if required. (Surcharges apply to timed deliveries). ***Once delivery has been arranged and confirmed if no one is available to accept the delivery we reserve the right to charge a re-delivery fee. ***A Delivery Drop WITHOUT signature service is available upon request at the checkout. In the rare event of any damage caused to your property upon delivery - they are fully responsible and insured. You may see links to other web sites within the content of our site. We are in no way endorsing, making representations or warranties about any of these sites. They are independent from us and we are not responsible for their information or contents. ©2009 - 2019 TIMPORTS LTD. All Rights Reserved.